Fire risk in medical facilities is often greater than in other kinds of businesses because of the nature of the equipment used, the type of supplies that must be stored and the kind of waste produced. With proper care these risks can be reduced. Take steps to avoid a fire caused by cigarette smoking. Most fires are caused by careless smoking. If you do allow smoking in any portion of your facility, make sure that the ashtrays you provide, are deep and don’t tip easily. When emptying ashtrays, be extra careful, as the embers left behind could easily ignite paper or other kinds of refuse. Having a metal container on the premises for this purpose is helpful. The best receptacles are the ones with a sand tray so cigarettes can be doused effectively from the moment they’re no longer in use. Obviously, smoking should never be allowed anywhere near where oxygen is being used. Ensure your workplace is wired appropriately and employees are trained to avoid electrical fires. One of the greatest fire risks is overloaded power plugs. If you’re using more equipment in a room than the space’s electrical system allows for, upgrade the room’s wiring to suit that room’s purpose. Likewise all equipment should be inspected regularly for signs of wear or frayed wires. Cracked and split cords and plugs can also contribute to an electrical fire. The first thing to do in an electrical fire is to shut off the power. Make sure all your employees know where the main power shut off is located. Laminated instructions for how to shut the power should be mounted in that area. Make sure your facility is fully equipped to detect and manage a fire. Preparation is key. Regular inspections of smoke detectors and fire alarms and extinguishers are a basic. An office armed with an overhead sprinkler system and safety blankets offers another level of protection. If you’re handling different kinds of materials, make sure you have the right kind of extinguishers on hand. A simple water extinguisher will work on a small paper, wood or cloth blaze but isn’t effective for fires involving flammable liquids, gases or oils. A foam extinguisher is a step up but that still won’t douse a fire being fueled by gas or electricity. A dry powder extinguisher is effective on everything but an oil-based fire and a top of the line carbon dioxide (CO2) extinguisher handles all but paper/wood and gas fires. To cover all your bases you’d be wise to have foam and dry powder extinguishers available and to make sure your staff knows which one to use in which situation. 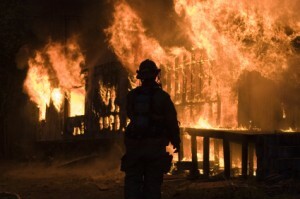 Prepare your facility and employees with an emergency fire plan. Your office or facility should have an emergency fire plan and your employees should be trained on how to implement it. From knowing where smoke alarms and extinguishers are located to how to shut off oxygen machines and other compressed gas systems, fortune favors the prepared. If a fire gets out of hand, 911 should be called and precautions against smoke inhalation should be taken. 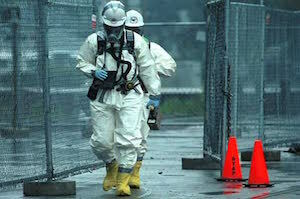 Instruct your staff to close doors and to make sure any patients on the premises are far away from the hazardous area. In severe cases, crawling to an exit and using damp towels to cover mouths and noses can save lives. While modern precautions have made fire a rare occurrence, the unexpected can still happen and it’s the responsibility of any medical clinic or facility to protect its patients and workers. Proper inspection of all fire safety equipment, and adequate training on how to use it, can make the difference between an annoyance and a catastrophe. Alternative Treatment Methods All alternative treatment technologies must be approved by the Health Authority. All treatment facilities using these methods are required to obtain a permit from the Health Authority. 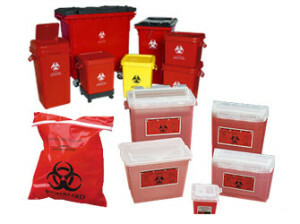 STORAGE Medical waste should be stored in a secure location that is only accessible to authorized personnel. 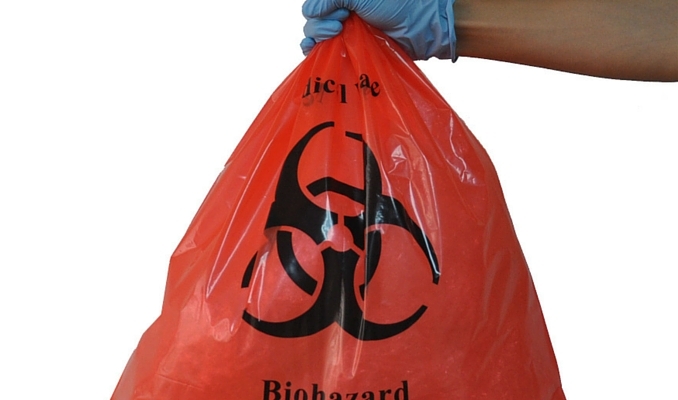 Bio-hazardous waste is to be placed in red bags clearly stating the international biohazard symbol, and should be stored at no more than 32ᴼF for seven days or stored below 32ᴼF for no more than 30 days. 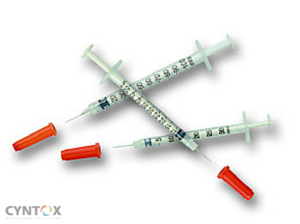 Sharps are to be placed in sharp containers for no more than 30 days and should be sealed and capped before treatment. 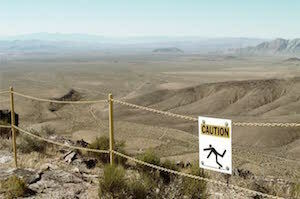 Not unloading, reloading and transferring medical waste to any other vehicle or facility unless permitted. Not transporting improperly stored and labeled medical waste. Maintain transportation records which are to be kept for future inspections by Health Authority. Also, feel free to visit the Occupational Safety & Health Administration (OSHA) website for more details regarding the handling of Hazardous Materials and Hazmat Suits. Is your office making costly medical disposal mistakes? Hospitals, clinics, dental offices, veterinary clinics, laboratories are all medical and healthcare facilities that generate medical waste. They are required by federal, state, and even local laws, to create an operational medical waste management protocol to ensure the safety of its workers and the environment. 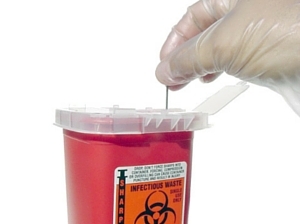 There are a few common mistakes that a lot of facilities make when disposing medical waste like bio-hazardous waste, animal waste, radioactive waste and unused pharmaceuticals. Make sure your office isn’t making costly inefficient mistakes. The most common mistake is to needlessly dispose of solid waste as regulated medical waste. According to federal law, solid waste is only to be disposed of as RMW if the solid waste had come into contact with contaminated materials. Unfortunately, there are many generators who have adopted a laissez-faire approach towards the disposal of both solid waste and regulated medical waste. This is not only dangerous mismanagement, but it also proves costly to the healthcare facility, as it is much more expensive to dispose of regulated medical waste than solid waste. Medical Waste Management typically involves the training of medical staff in waste disposal practices; however, the consistency of such training, for many medical and healthcare facilities, often peters out. Luckily, there are many agencies such as the EPA, OSHA, etc., that makes resources available for healthcare facilities to formulate a training program that will ensure the safety of workers, as well as decrease the chances of infection and/or contamination. Additionally, some reputable medical waste transporters/haulers offer assistance in the form of training staff to stay within federal and state regulations. According to merriinc.com, there are healthcare facilities that are not transporting untreated and treated medical waste correctly. Some common issues include; transporting regulated medical waste in improper containers and utilizing medical waste transports/haulers that do not have a permit to transport medical waste weighing over 50 pounds. These violations results in heavy penalties to both the transporter/hauler and the medical or healthcare facility. Treating and disposing of medical waste using the method of incineration has been approved on federal, state, and local levels. However, according to Health Care Without Harm, incinerators contribute significantly to dioxin, mercury, lead and other pollutants that threaten the general populace. Can it be that this method of treating medical waste is just as harmful as the waste itself? To answer this question, many companies have developed environmentally friendly technology to be made available to medical waste treatment facilities to ensure that medical waste is not only treated effectively, but that the residue generated is not harmful to the environment. One of the most important steps is for generators to review individual state and local laws regarding medical waste management practices. Medical and healthcare facilities can also keep abreast of regulations set out by the Occupational Safety and Health Administration (OSHA), the US Department of Health (DOH), and/or the US Environmental Protection Agency (EPA), regarding best medical waste disposal practices. As always, Cyntox Medical Waste Disposal is here to answer any questions regarding your facilities compliance and medical waste disposal needs. Sharps (inclusive of needles, syringes, lancelets, etc.) must be contained in metal containers with a secure lid, or a ‘sharps’ container, which as the name suggests, is a container suitable for such material. These containers must be kept out of reach, and/or placed in a secure area. Medical gloves, bandages, sheets, etc. should be secured in a plastic bag. Nursing homes are encouraged to speak with their medical waste service providers to provide the use of clean and reusable containers to the facility. STEP THREE Nursing homes are required to employ the use of medical waste transporters or haulers to properly transport and dispose of regulated medical waste. The haulers will deliver properly packaged medical waste to treatment facilities and will then be transported to a disposal site. Nursing homes not only have a responsibility to the elderly and others needing healthcare assistance, but they have a responsibility to their staff and the wider community by ensuring that a proper medical waste management program is in place. By following the steps above, a nursing home can see a reduction in medical waste disposal costs and a decrease to risks of infection.